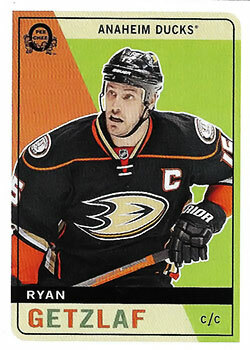 Ryan Getzlaf (born May 10, 1985) is a Canadian professional ice hockey centre of the National Hockey League (NHL). 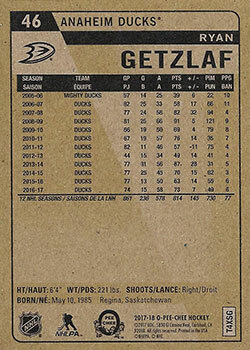 A first round selection, 19th overall, at the 2003 NHL Entry Draft, Getzlaf has played his entire professional career in the Ducks organization and ranks as one of the franchise's all-time leading scorers. 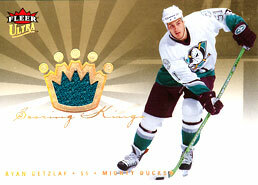 Ryan Getzlaf has played in two NHL All-Star Games and was a member of the Ducks' 2007 Stanley Cup championship team. 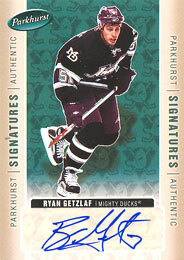 A playmaker and power forward, Getzlaf has led the Ducks in assists seven times, including a franchise record of 66 in 2008–09. 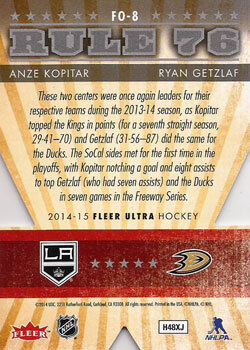 In 2013–14, Getzlaf recorded a career high 31 goals and finished second to Sidney Crosby in league scoring with 87 points. 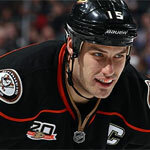 Getzlaf was named to the Second All-Star Team and was a first-time finalist for the Hart Memorial Trophy as the NHL's most valuable player. 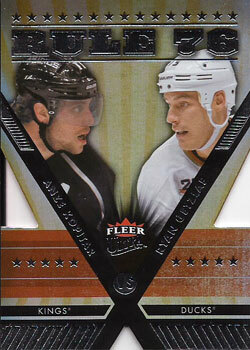 He finished as the runner-up to Crosby.